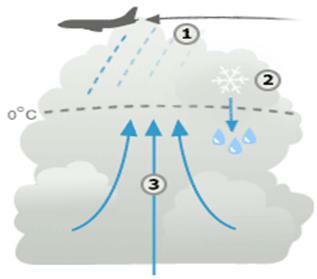 To condense into droplets, water vapor needs to give energy in form of heat. But the tiny molecules have virtually no mass and therefore, droplets happen only when a molecule meets anything with a mass, like: a particle of dust or smoke, or pollen. The problem is; it is expensive and the moisture you take in one place is moisture that doesn't get to another place. A rainmaking project launched by the Chinese government in 1997 significantly increased the water sources for the upper reaches of the Yellow River, second longest river in the country. The artificial rain project has, in the past four years, created 6 billion cubic meters of rainfall in the area, and added 1.5 billion cubic meters of water to the Yellow River directly, according to statistics. The 5,464-kilometer-long Yellow River runs through nine provinces in north China and goes into the Bohai Sea in east China's Shandong Province. The upper reaches of the river refers to the 1,500-kilometer section between the river source and Longyang Gorge Power Station in Qinghai Province, northwest China. Consecutive years of drought in the area caused a sharp drop in the water level in the Yellow River and sections of the river even run dry since 1990. Experts said that the area along the upper reaches of the Yellow River has great water sources through artificial raining. Qinghai has invested approximately 10 million yuan in implementing the rainmaking project, which covers an area of 30,000 square kilometers. 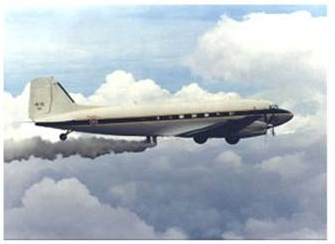 An aircraft putting dry ice on clouds which makes artificial rain.